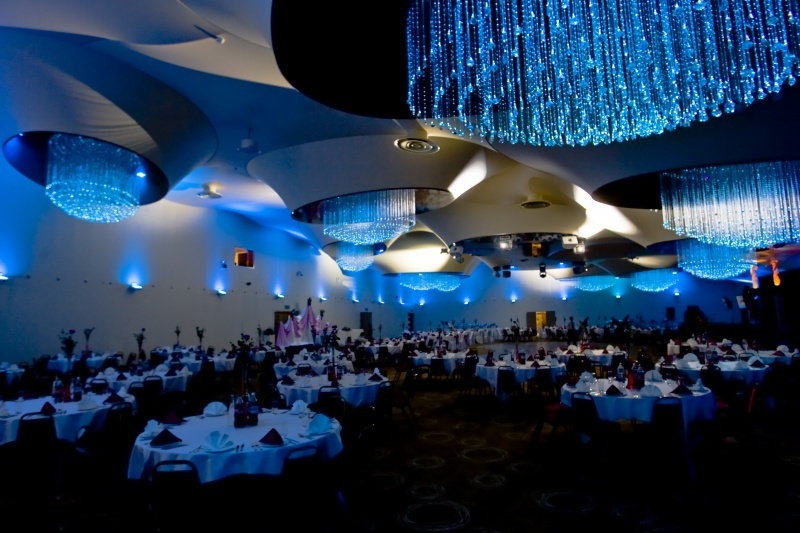 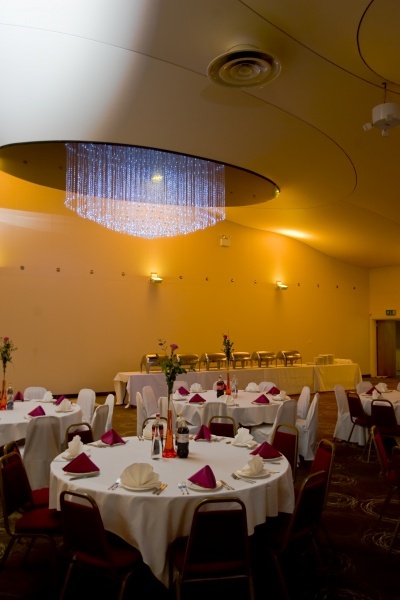 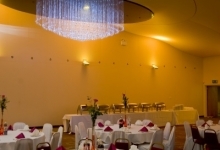 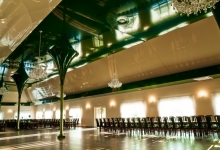 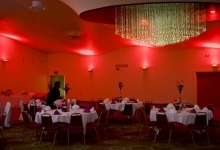 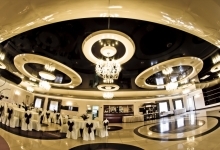 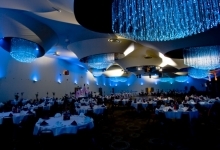 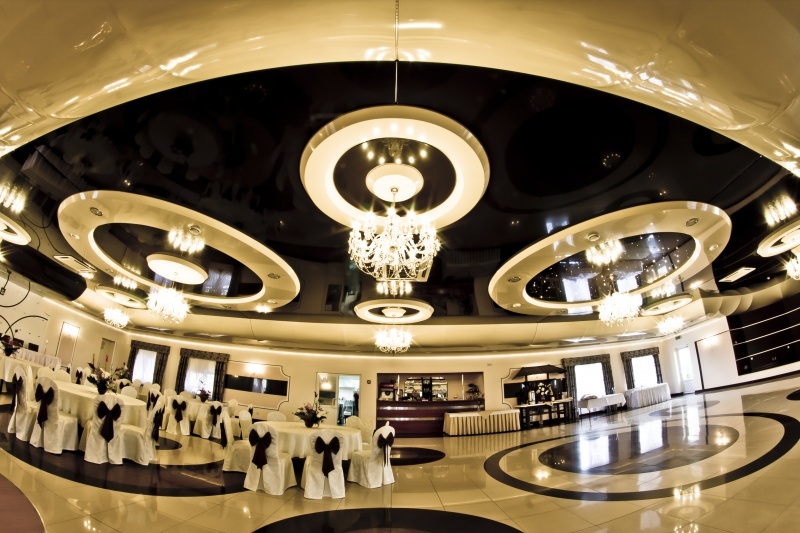 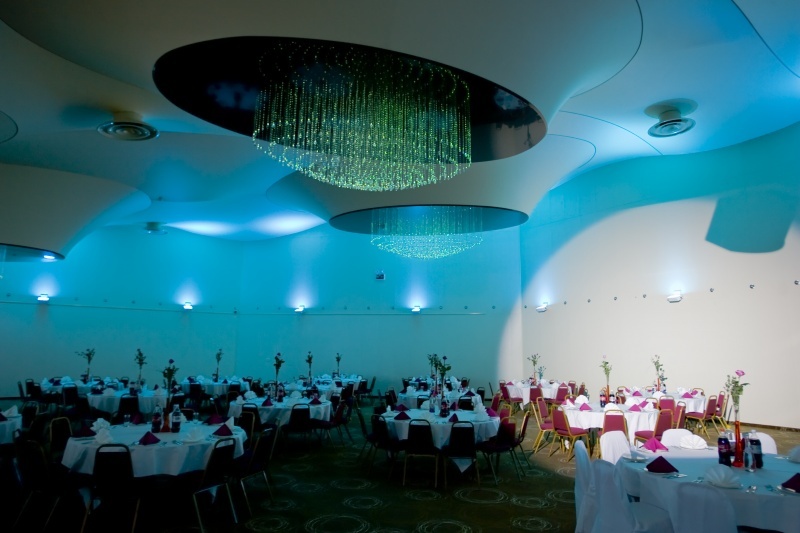 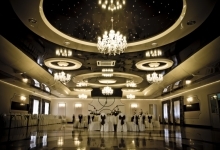 A Banquet Hall Ceiling does not have to be boring. 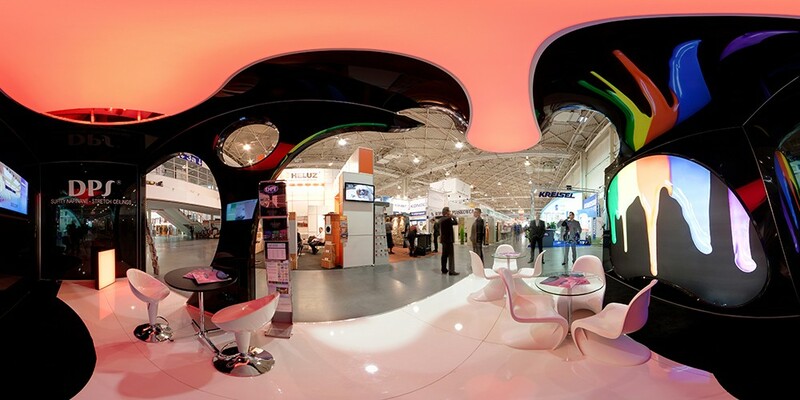 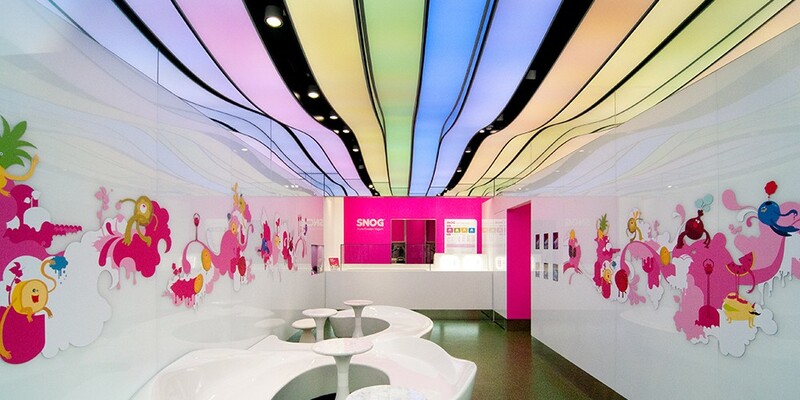 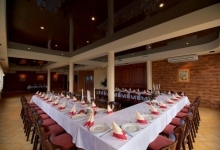 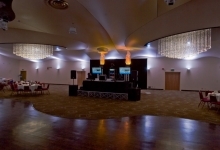 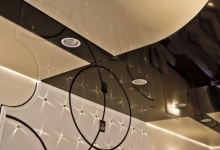 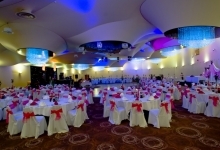 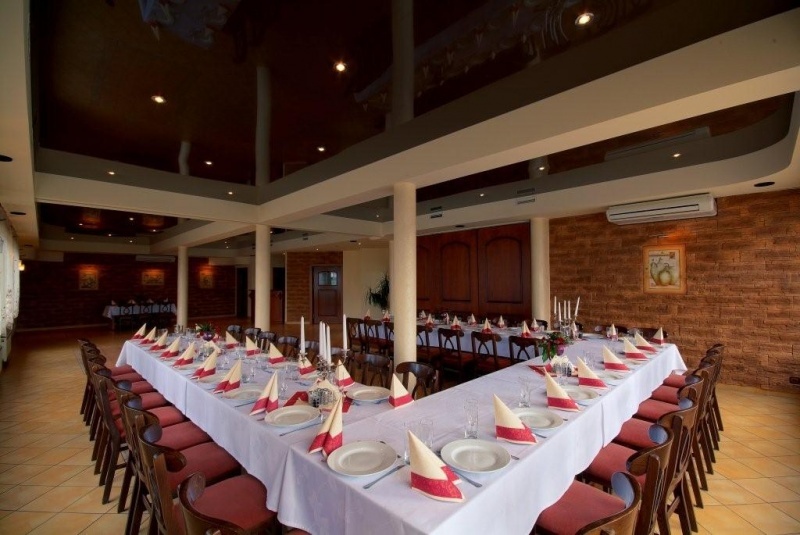 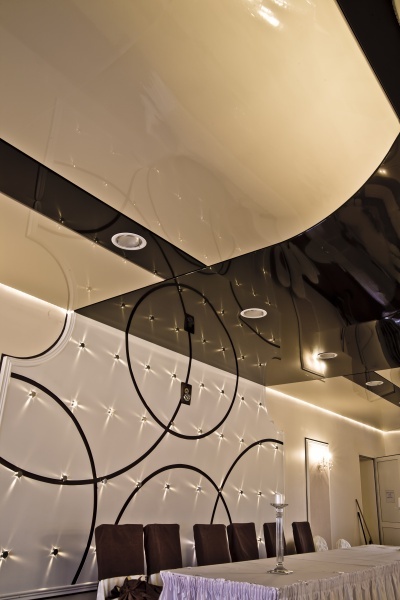 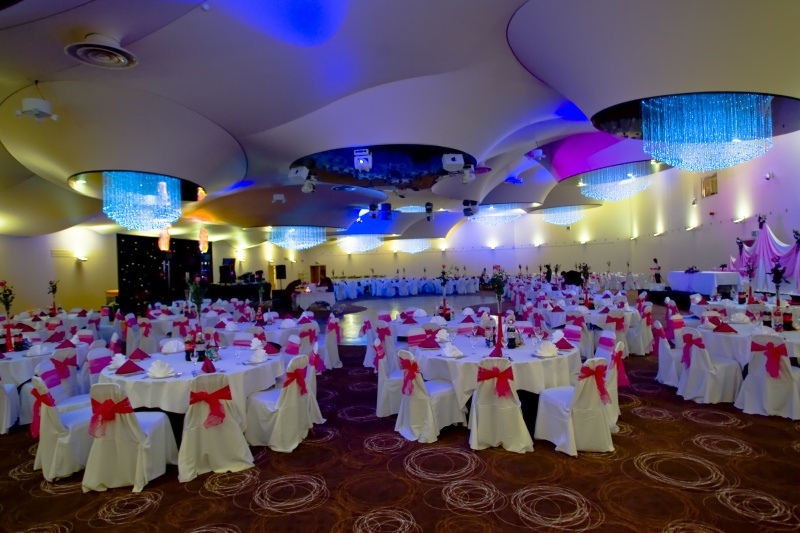 We deliver style, acoustical enhancement, a maintenance free environment and special ceiling features. 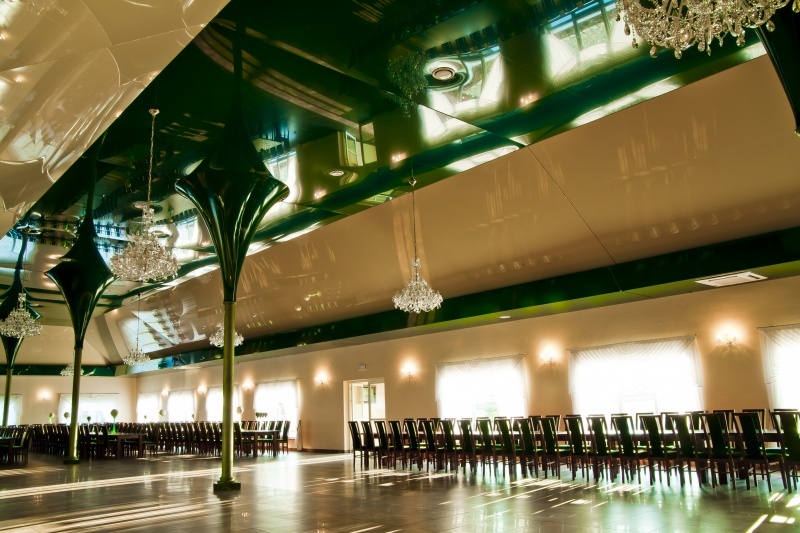 You have 150 colors, 6 finishes, and an unlimited amount of design options in order to create a truly special ceiling for your Banquet Hall. 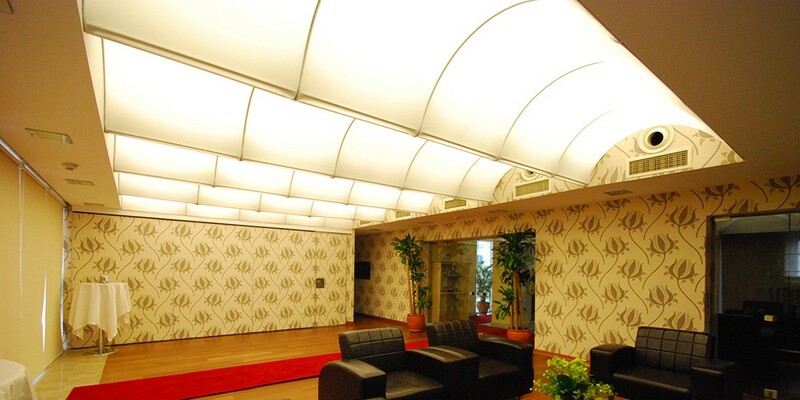 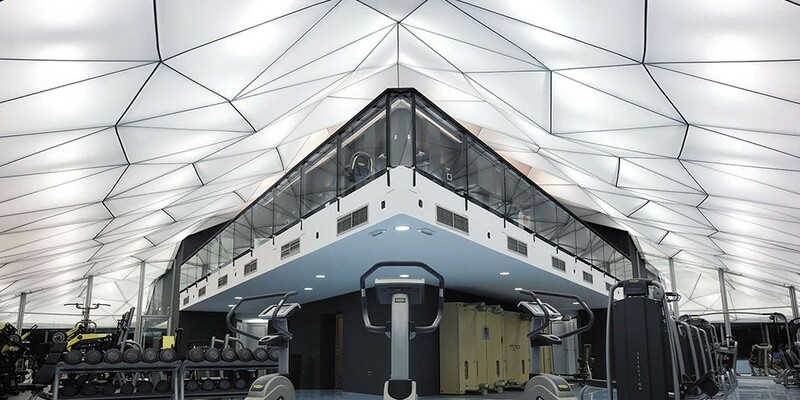 Our customers choose stretch ceilings for their clean look, stunning design opportunity, sound absorption effect, and long lasting quality with life expectancy over 20 years. 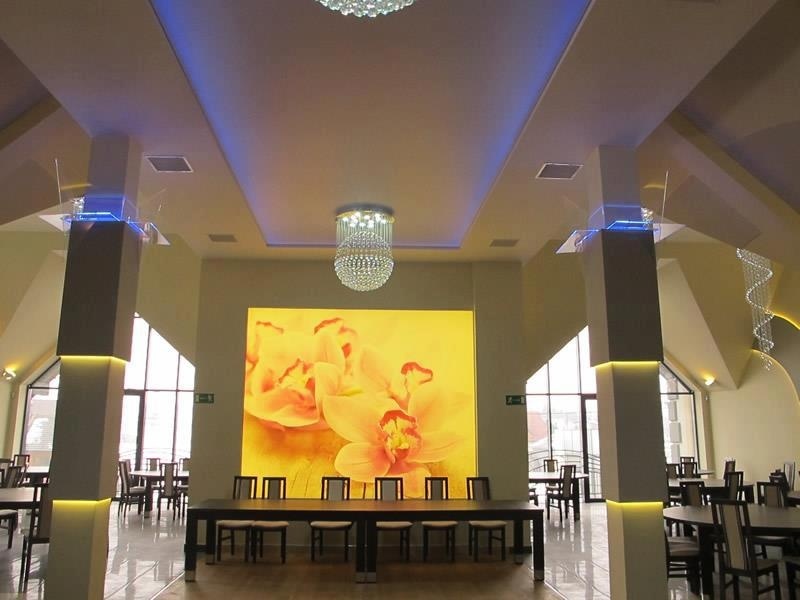 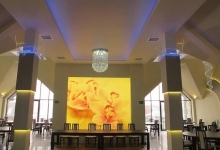 If you have a project where you’d like to have a high quality Banquet Hall Ceiling that creates the whole atmosphere of the room, contact us and we will help you with the design, quotation and installation.